Dubai, UAE, October 09, 2018: Whether you are currently following a vegan diet or are looking to make the change soon, or even if you are just looking to tweak your present eating habits and enjoy an overall healthier lifestyle, Kibsons are here to help with an even bigger selection of vegan items to add to their already impressive product range. 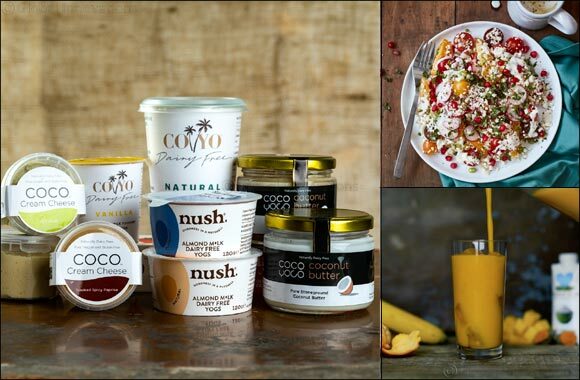 With vegan items available that you are sure to love all day, take your pick from a delectable array of dairy-free cream cheese, coconut butter and nut-milk yogurts to name but a few. These exciting additions are creamy, nutritious and delicious and will be sure to delight the vegan community, with great prices and prompt, free delivery across Dubai in true Kibsons style. The Kibsons vegan range has more than doubled in size and the brand pride themselves on offering something for everyone no matter how busy their schedule is. In addition to the new vegan items on offer, Kibsons also has a range of DIY recipe boxes that are also vegan-friendly. If you are pushed for time on a morning, a smoothie is the perfect fast-track, easy breakfast to create and stand you in good stead for the day ahead. Kibsons Smoothie Boxes come packed with fruit, vegetables and coconut water and take just minutes to prepare. For lunch and dinner options you can choose from a light cauliflour rice salad that is raw and features an amazing, life-changing tofu dressing or for a more hearty dinner, the Eggplant Stew is certain to hit the spot bringing you layer upon layer of beautiful veggie flavours to your table. Living a healthier life just became a whole load easier and more cost effective too!